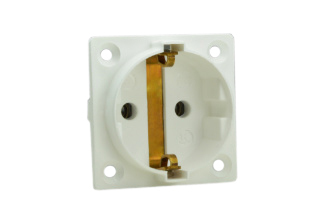 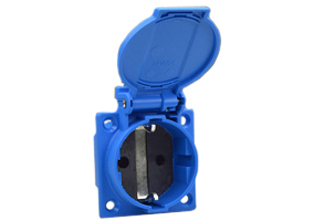 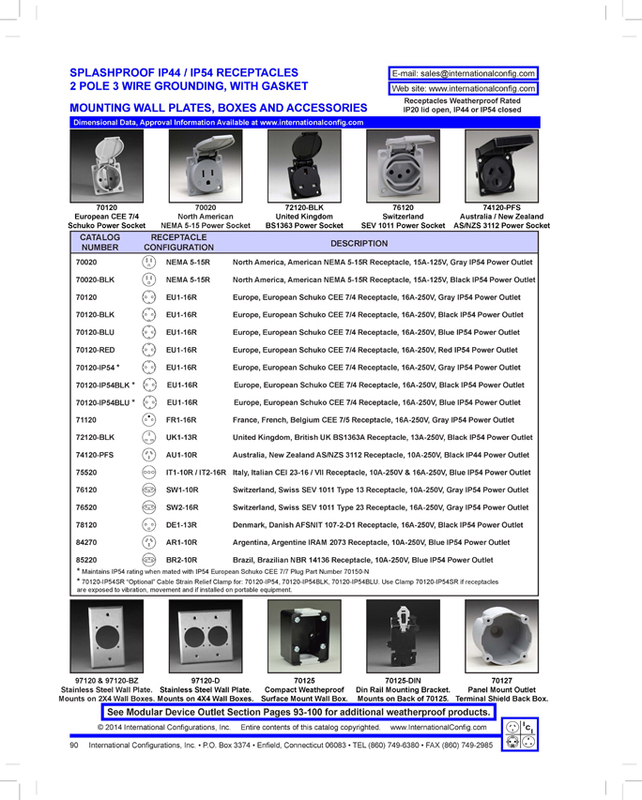 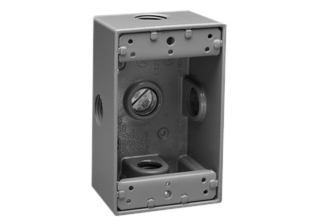 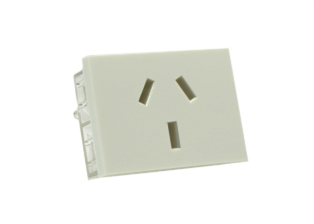 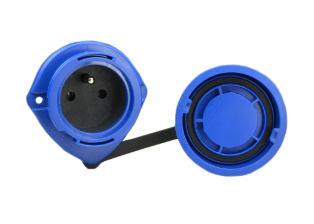 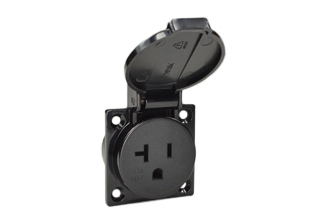 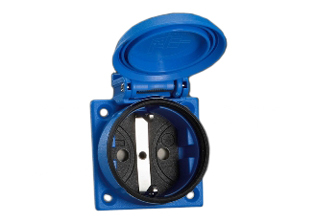 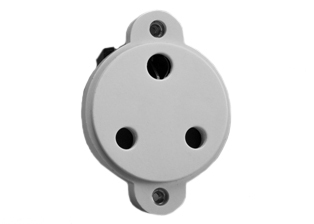 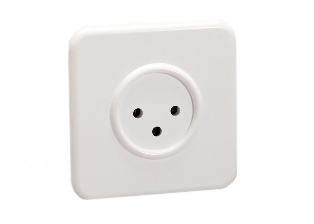 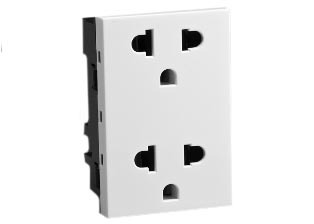 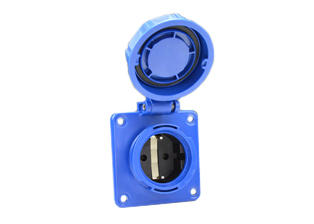 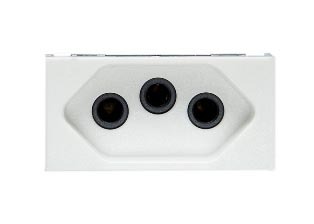 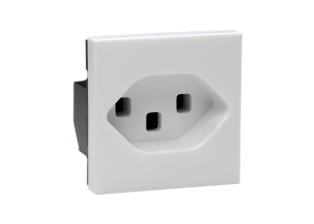 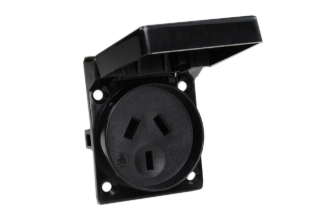 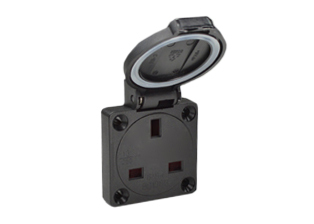 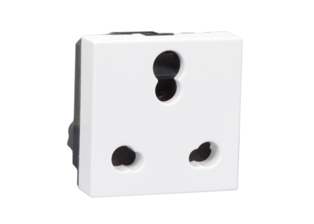 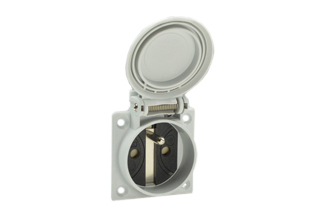 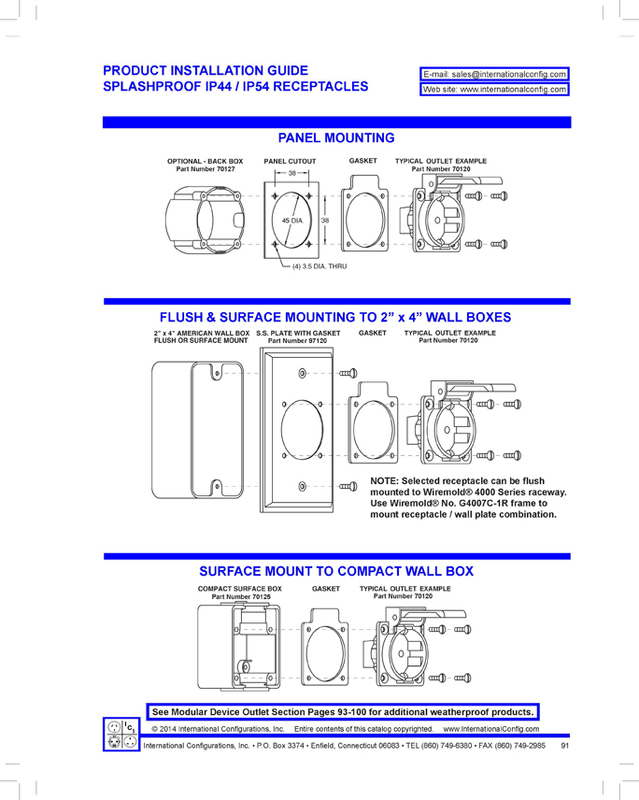 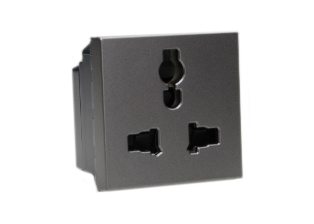 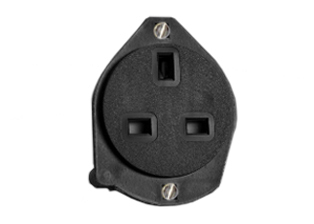 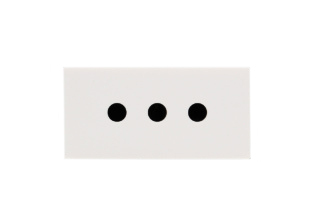 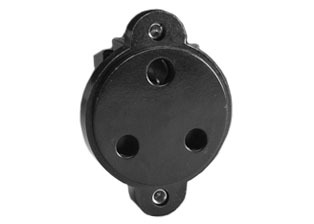 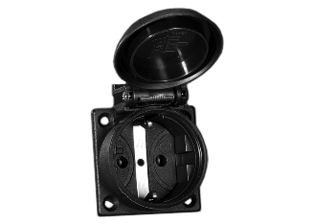 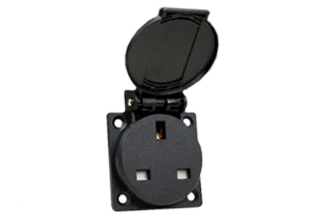 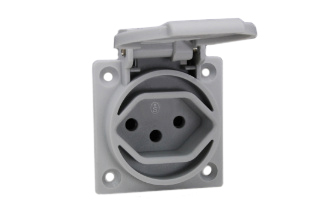 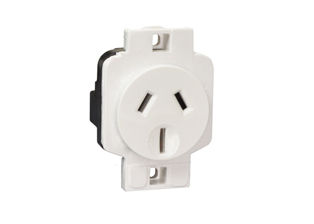 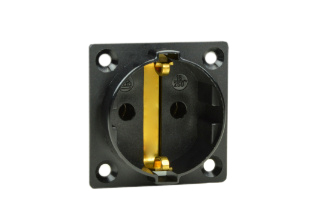 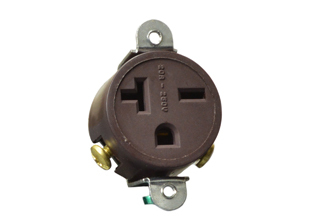 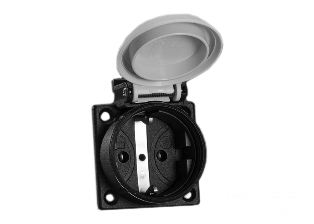 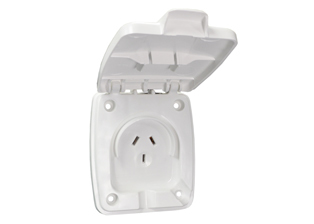 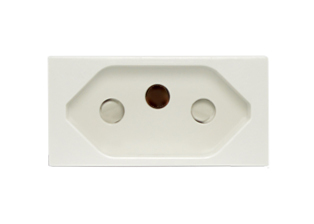 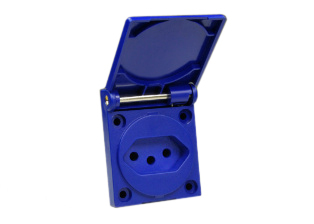 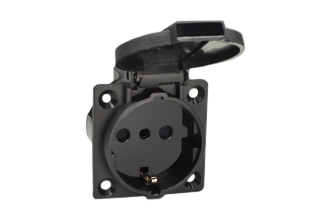 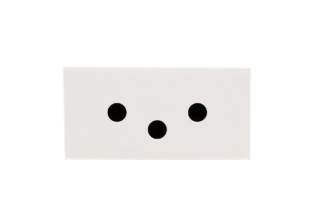 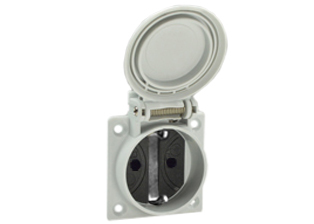 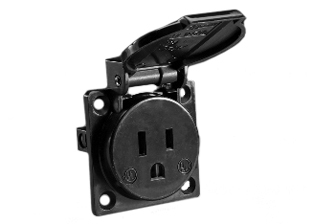 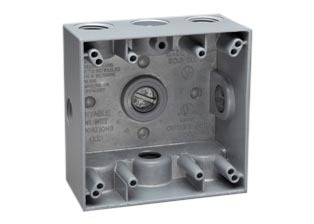 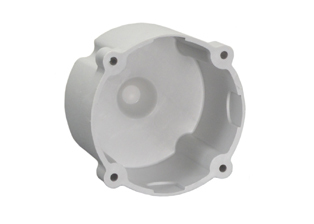 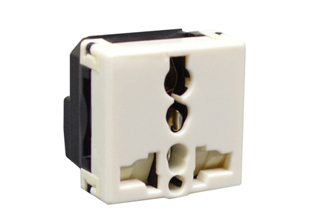 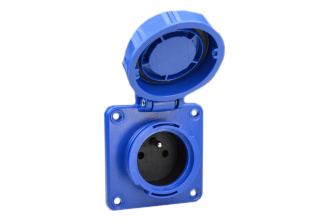 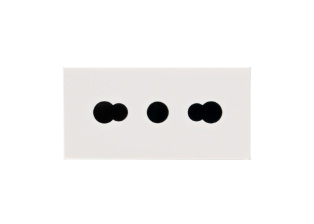 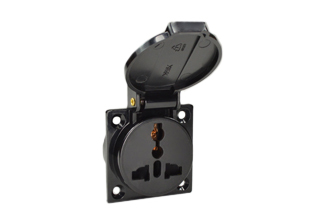 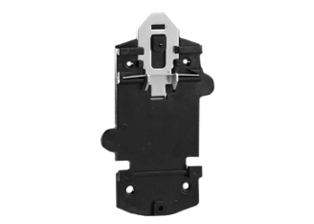 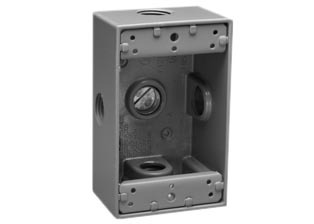 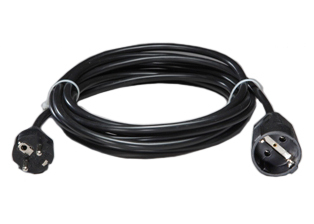 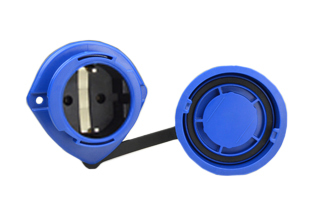 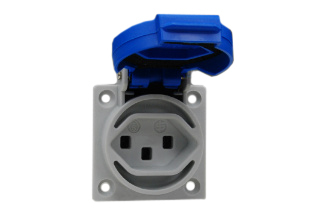 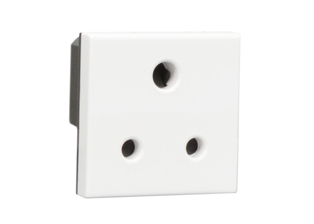 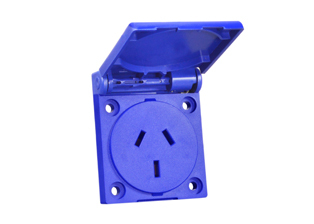 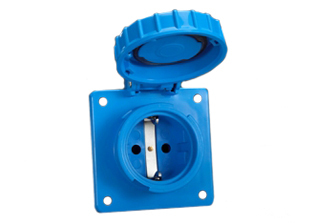 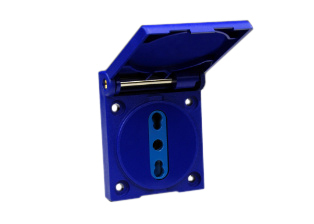 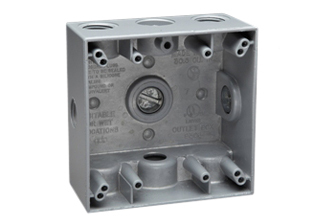 EUROPEAN "SCHUKO" CEE7 (EU1-16R) 16 AMPERE-250 VOLT WEATHERPROOF (IP54) PANEL MOUNT POWER OUTLET, 2 POLE-3 WIRE GROUNDING. 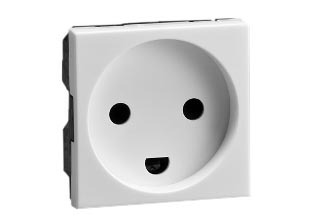 DIN 49440/49441. 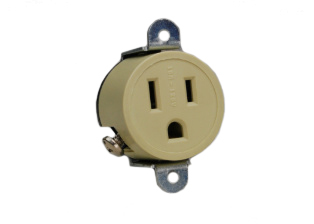 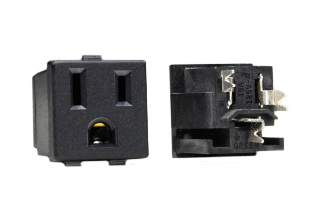 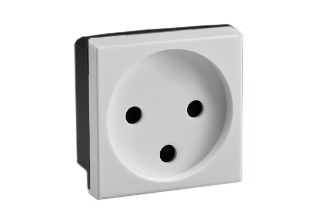 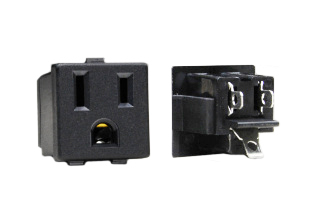 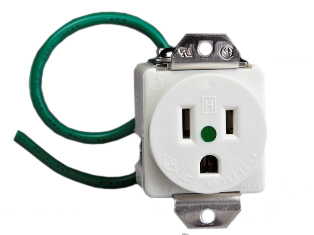 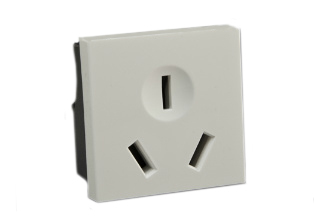 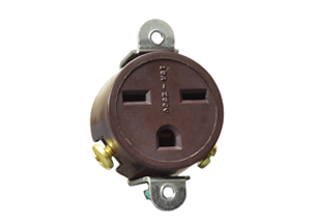 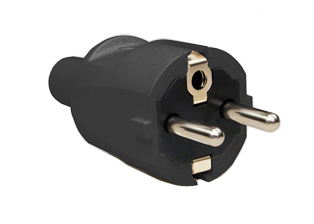 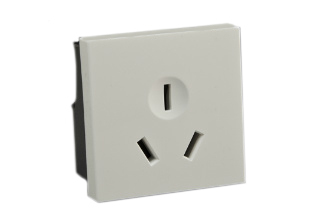 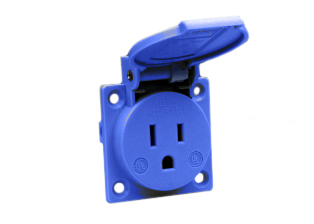 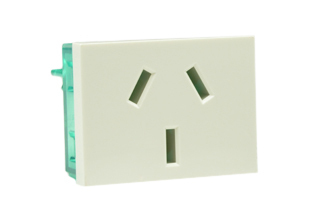 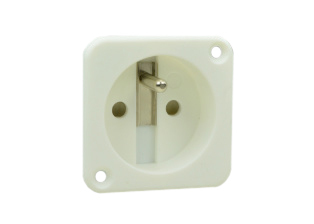 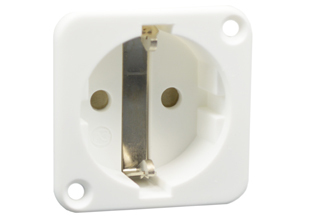 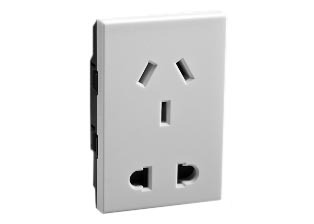 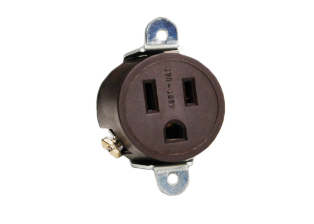 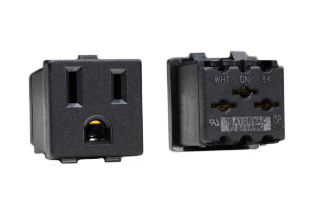 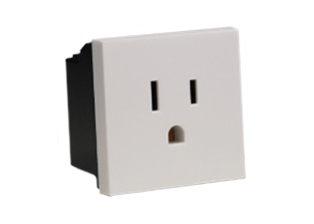 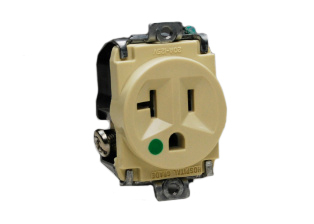 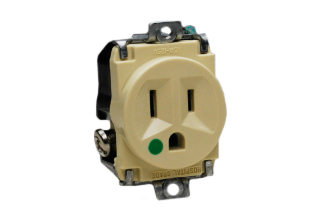 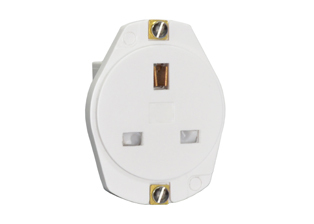 PLUG, OUTLET TYPE F. RED . 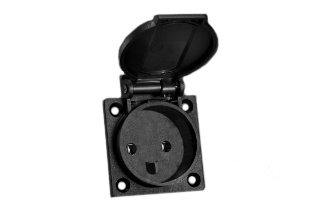 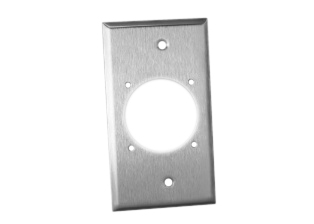 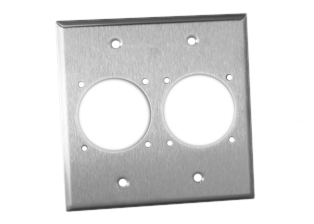 Description: EUROPEAN "SCHUKO" CEE 7/3 (EU1-16R) 16 AMPERE-250 VOLT WEATHERPROOF PANEL OR WALL BOX MOUNT POWER OUTLET WITH GASKET, (IP54 COVER CLOSED, IP20 COVER OPEN), 2 POLE-3 WIRE GROUNDING (2P+E). RED.